Horses and ponies are herbivores and are further classified as “hindgut fermenters”. This means that bacteria and other micro-organisms in the large intestine break down components of the food, e.g. fibre, that cannot normally be digested. This fermentation takes place in the caecum where significant amounts of the B vitamin complexes and volatile fatty acids are produced as a result. The size of the horse’s stomach is also quite small and hence many classes of horses are not able to consume enough forage to meet their nutrient requirements. Therefore concentrates are sometimes needed to supplement their nutrient requirements. The stomach of the horse is small because in the wild the horse obtains all its dietary needs through grazing for up to 18 hours a day. Due to this lifestyle their gastrointestinal tract has adapted to enable them to absorb the maximum amount of nutritional value from a diet of roughage. Due to present day feeding and management practices, the modern day horse is placed in a situation where the feed is much reduced in quantity and frequency, while the quality given is far greater. They are also not exposed to large areas of diverse grazing where they can roam freely. Today’s horse’s dietary needs are greatly influenced by its breed and the lifestyle imposed upon it. The most important aspect of any horse’s food intake is to make sure that the main proportion of feed comprises good quality forage. Each horse should be treated as an individual. By monitoring feed intake and body condition closely, optimum condition and a healthy happy horse can be easily obtained. 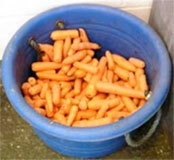 Equine nutrition is a complex subject and thus we will only provide a basic overview here. Your veterinary surgeon will be able to give nutritional advice specific to your horse’s individual requirements. Energy requirements are determined by age, weight, activity level and other factors such as pregnancy. Carbohydrates are the main form of energy used by horses. These are obtained from grass and hay but cereals (e.g. corn, oats) are the best source as the level of carbohydrate is a lot higher. The requirement for energy is related to the amount of work the horse does, so a horse retired to pasture may only require grass and hay whilst a thoroughbred racehorse will require larger quantities of grain. Proteins are the building blocks of a horse’s body. They make up about 20% of an adult horse’s weight and are important for building muscle and replacing lost or damaged cells. Younger, growing horses have a much greater requirement for protein than mature horses but protein requirements increase again once the horse reaches old age. Sources of protein are hay, pasture grass and grains but the quality does vary. Additional protein may be also be obtained from supplements such as soybean. Minerals are needed for metabolic functions, proper working of the skeletal system, and hormone and enzyme regulation. For horses, important minerals include calcium, magnesium, sodium, chloride, potassium and phosphorous. Sufficient vitamins are usually acquired through foraging and grains but, in some cases, supplements are given. Indications include stress from illness or excessive training. Below are some general rules on basic nutrition and feeding. 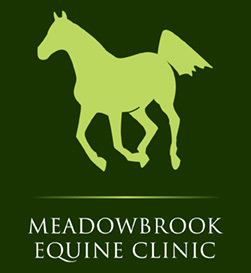 You should contact your veterinary surgeon for specific advice for your horse. Allow free access to hay and water. Follow a regular feeding schedule. Give water first, then hay, then grain. This gives the digestive system time to begin working and can help prevent problems such as colic. Amounts of food should be based on the horse’s weight, activity level and overall condition. Make changes to the amount or type of feed gradually. Give plenty of pasture grass and hay. Be sure hay is not mouldy, musty, or too green. Wait at least one hour after feeding to work a horse. Let the horse rest for at least an hour after riding before he is fed. Pay attention to your horse to be sure he is not getting too fat or too thin. Feeds for horses can be divided into forages, concentrates and additives. As the gastrointestinal system is adapted for high fibre/forage diets it is important that, of the feed given, a large proportion should be forage. Without adequate forage proportions, the horse is much more prone to medical conditions such as stomach ulcers, inflamed intestines and some forms of colic. The dietary needs of today’s horse are greatly influenced by the type of horse and the lifestyle demands made upon it. The most important aspect of any animal’s food intake is to make sure that the main percentage of feed given comprises of good quality forage. Each horse should be treated as an individual. By monitoring feed intake and body condition closely, optimum condition and a healthy happy horse are easily obtained. Adult horses dietary needs are generally easily met, but those in hard work will need an increased energy content but rarely require an increase in protein levels. Supplementing with vegetable oils and increasing the concentrate ration, while still offering forage, can easily achieve this. Pregnant mares in the last trimester require increased protein content and must have readily available minerals, vitamins and salts in balanced amounts. These requirements are usually met by a good quality broodmare pellet or mix. Mares with newborn foals have similar requirements but need a higher energy value, as the energy used up from producing milk in the first few months is extremely high. Geriatric Horses (>20yrs) require careful consideration with respect to their feeding. They require highly digestible energy feed due to the decreased efficiency of their digestive tract. They also tend to have dental problems, thus food should be highly palatable and easily chewable. Feed may need to be soaked or given in small regular amounts to safe guard against the risk of developing ‘choke’ or impaction colic. Youngstock have high protein, energy, vitamin and mineral requirements which are best formulated in a balanced ration by a commercially produced feed, with forage given ad lib. This is comprised of grasses and its derivatives: hay, haylage, chaff and occasionally straw (not a high nutritional component but a good fibre source). Good quality grass should provide all the nutritional needs of the horse in light work or on pasture rest. Additional nutrition should be given by including good quality hay and haylage. Hay and haylage provide more concentrated higher nutritional value forage, and have the advantage of being easily stored from one year to the next. Horses are trickle feeders and should have access to forage feed during most of their non-active hours. This may be fresh grass, hay, haylage or straw as appropriate or required. These are used to boost mineral, salt and energy content of the daily ration, and include mineral additives, salts and oils. They are especially important when feeding concentrates in a ‘straight’ form in order to provide a balanced ration. Most commercially produced pellets and mixed feed are balanced for mineral and salt content thus making further additions unnecessary. In growing youngstock it is important not to cause imbalances in the mineral content of feed by over-supplementation; this is especially important for the calcium/ phosphorus ratios as imbalances in this ratio can disrupt bone growth and can be very harmful to healthy growth and development.